Sometime ago there was a brief thread discussing the rarity, or even existence, of Rhodochrosite crystals in true geodes (not just half-vugs). At the time John Cornish regaled us with his story about a red gemmy crystal in a quartz geode. Unhappily the proved to be hematite-included Calcite on analysis. That they exist is confirmed by the presence in two famous Colorado collections but after 40 years of collecting, I had never seen even a photo of an example. Until now. I have recently become aware of undeniable examples of such specimens in the collection of the National Mining hall of Fame and Museum in Leadville, Colorado. Photos of two of these are by Leonard Himes. Unfortunately, there is no additional information about the locality. 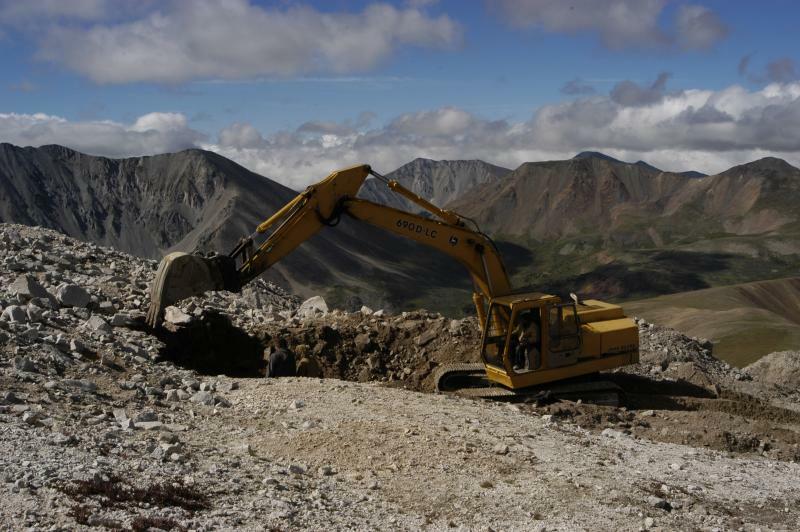 Legends of a "lost" locality are heard in Colorado. Now at least their existence is confirmed. Now the locality. It is said that these are from "Colorado" USA but no other information is available, even from the museum. Any further information would be appreciated. This nearly 3 year old thread is of a topic that has interested me for some time. There were no responses so I will give a bit of explanation. 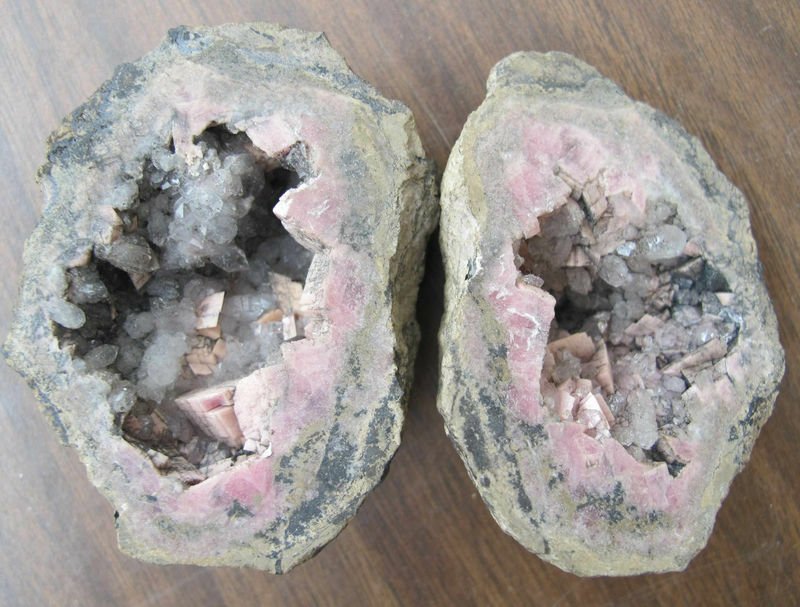 Referring specifically to midwest USA geodes of sedimentary origin, why are calcite (CaCO3) geodes so incredibly common while rhodochrosite (MnCO3) geodes, also a simple carbonate, virtually nonexistent? 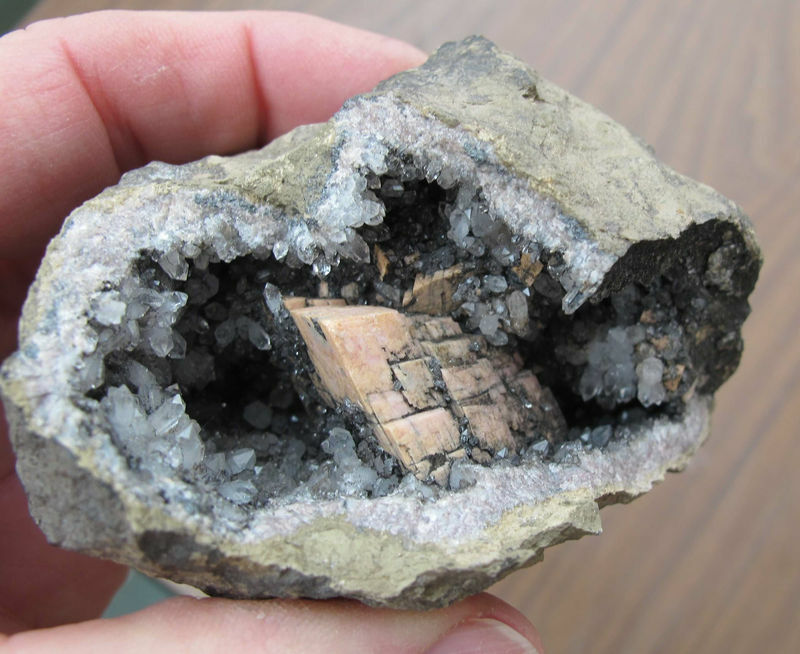 And this is also despite the fact that manganese rich calcite geodes do occur regularly in the geodes of a locality in Missouri (a picture of one of these is shown for comparison). The answer seems to be in basic differences in formation of the sedimentary geodes themselves. 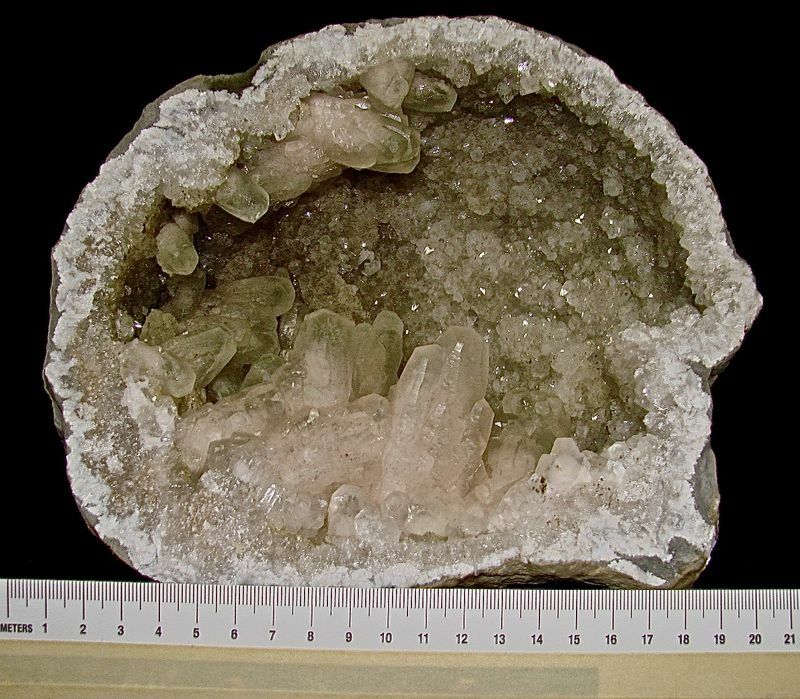 Midwest geodes form either in invertebrate fossil voids existing in the mid Mississippian age hardening limestones or form as an anhydrite replacement in the hardening limestone. Calcium carbonate is a basic component of the limestone, easily crystalizing into calcite at the low ambient temperatures of their formation. On the other hand, manganese, while found in the mid Mississippian limestones simply does not exist in quantities sufficient enough to collect into crystals known as rhodochrosite. That is what I am told. Only a few molecules are enough to make the manganese rich calcites, but not enough manganese carbonate molecules are present to make rhodochrosite crystals. Too bad for collectors!! Of course this does't address the original question of Colorado rhodochrosite in geodes. Parenthetically, the original pictured examples from Colorado and not the Midwest, should have been properly cleaned before posting the photos. They would have looked more impressive. 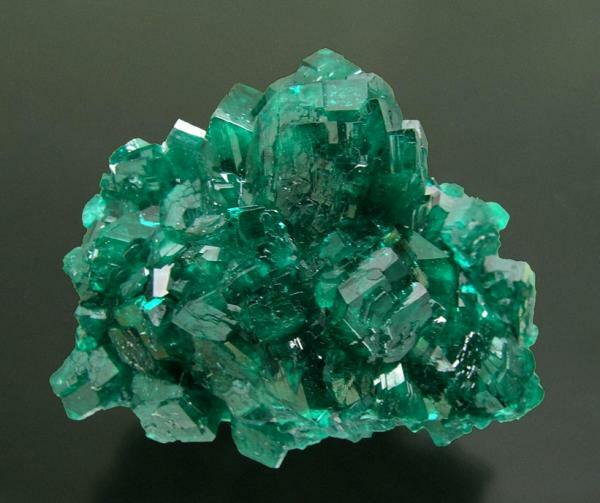 mined in the 1980s. Acquired by me about 8 years ago.